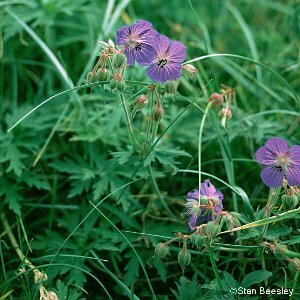 A beautiful wild geranium with a remarkable native distribution in Ireland, being restricted to the North Coast between Ballycastle and Dunluce Castle on sand dunes and in grassy places near the sea. Elsewhere in Ireland only found as garden escapes. Its association with the North Antrim coast has given rise to its local common name of "Flower of Dunluce". 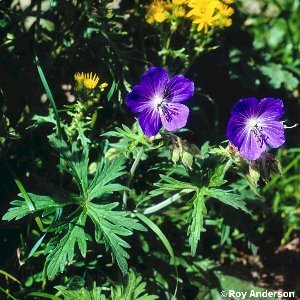 All names: Geranium pratense L.